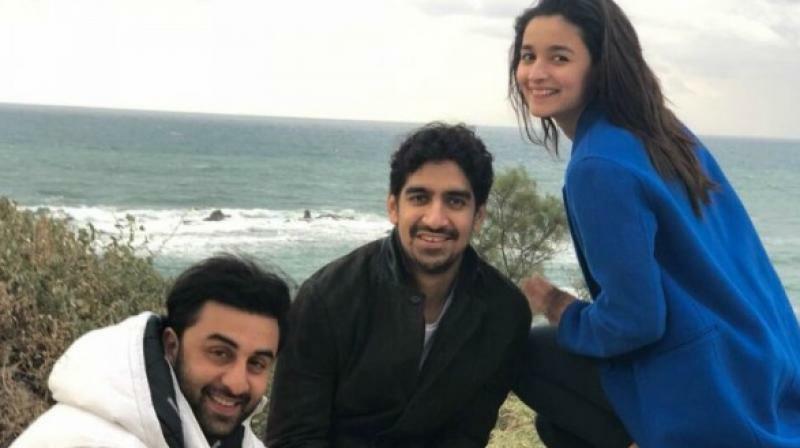 The team of 'Brahmastra' has embarked on their new journey as the film has gone on floors today in Bulgaria. New Delhi : The team of 'Brahmastra' has embarked on their new journey as the film has gone on floors today in Bulgaria. The official Twitter handle of Karan Johar's Dharma Productions shared the news with the world. "Today is the day when we embark on our new journey & we can't wait to unfold every step with you! There's no holding back the excitement for this one, so keep sending in your love for #AyanMukerji & team! #Brahmastra @karanjohar @apoorvamehta18 @SrBachchan #RanbirKapoor @aliaa08," the post read. 'Brahmastra' is a trilogy produced by Karan Johar. The Ayan Mukerji directorial stars Ranbir Kapoor, Alia Bhatt, Amitabh Bachchan and Mouni Roy.